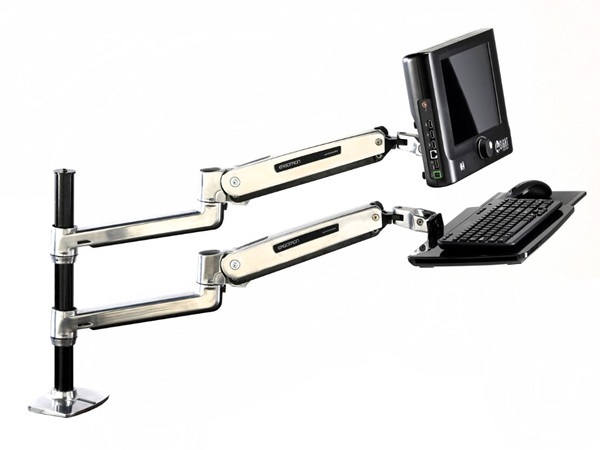 This modular and flexible design of the ergatron arm workstation fits most any space while providing personalized ergonomic comfort. It enables complete control over the location of the keyboard and display unit. 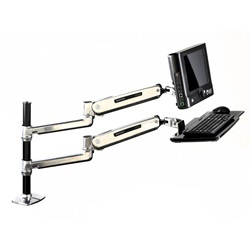 This package includes a monitor arm, keyboard arm, two extensions, keyboard tray, slide-out mouse tray, desk clamp base, grommet-mouse base, 48 cm pole, two pole collars, VESA brackets, and a wrist rest.